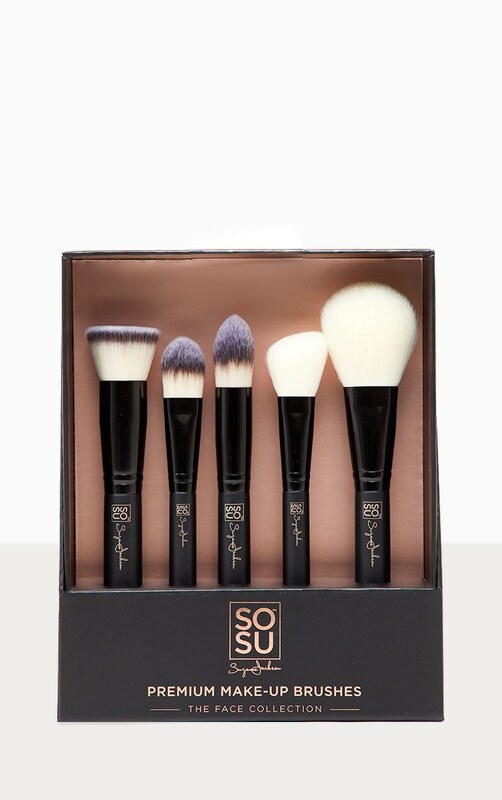 This set contains all the brushes you need to create the perfect base. 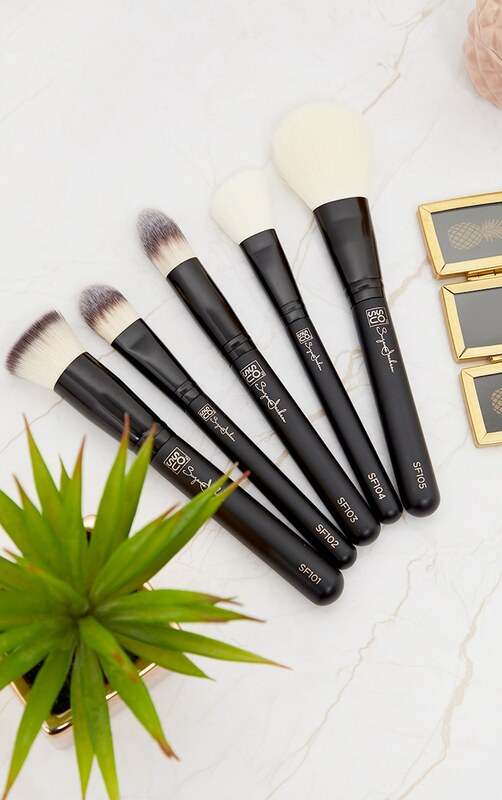 The Face Collection 5 Piece Premium Brush Set buffs and blends liquid, cream and powder products into the skin. With soft, synthetic bristles and sleek black handles perfect your face in style.